The Battle of Blanford was a battle during the American War of Independence, that took place near Petersburg, Virginia on 25 April 1781. Roughly 2,300 British under the command of Brigadier General Benedict Arnold defeated about 1,000 militia under Major General Baron von Steuben in a late afternoon battle where British artillery contributed significantly to the outcome. 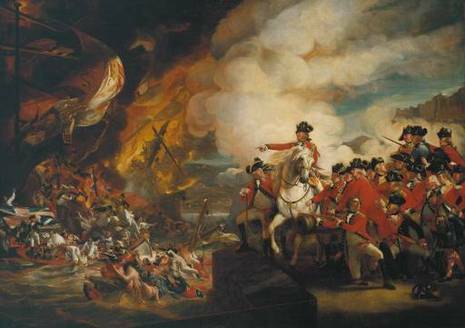 At the request of Lord Cornwallis for a diversion in Virginia, Arnold had landed his force in April 1781 and advanced against largely undefended countryside. 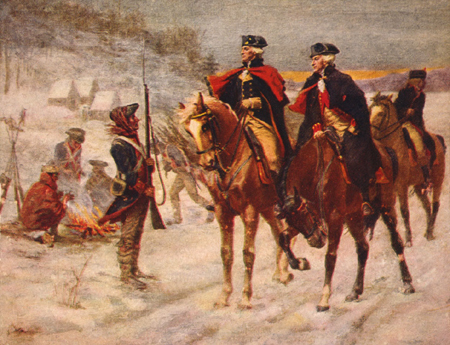 A militia force under von Steuben tried to check their progress outside Petersburg. Continental forces were under the command of Major General Baron de Steuben. The Marquis de Lafayette was several days away with General Wayne also on the way. Steuben could discern that, though the British might attack Richmond as before, they definitely considered Petersburg a prime objective, since it served as a military cache for both state and Continental forces. On 24 April, as the afternoon progressed, about 1,000 American men marched into Petersburg. They were Virginia militia regiments under Brigadier General Peter Muhlenberg's Corps and other gathering militia units. General de Steuben, after council of war with General Muhlenburg and other officers, determined they would establish a line in Blandford, then a separate town east of Petersburg (now a neighborhood in the city). When the time came, the colonists could retreat across the Appomattox River over the Pocahontas Bridge. Shortly before sunset, a force of 2,500 British soldiers under the command of Major General William Phillips disembarked at the James River landing in City Point 12 miles east of Petersburg, Virginia. That evening General de Steuben ordered Muhlenburg's Corps to the north side of the Appomattox River on the peninsula known as Pocahontas Island and onto the elevated ground overlooking the river.